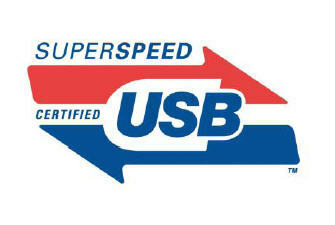 USB 3.0 specification has been finalized two months ago and it has become one of the hottest topics in today’s industry. While most of us still need to wait till early of 2010 to get the commercial product based on USB 3.0, but if you have chance to visit upcoming CES 2009 event soon, you may able to get the first feeling of how fast USB 3.0 will stream data to the USB 3.0 compliant external storage with the demonstration plan put in place by Symwave together with few other cable and component manufacturers. The major attraction about USB 3.0 is on its extremely high data transmission speed at around 5Gbps, which is almost ten times of its current famous USB 2.0 theoretical speed at only 480Mbps. In order to demonstrate its advantage, Symwave, a hardware storage solution provider plans to showcase a massive data streaming to its external storage device at an impressive high data rate which was not previously available with USB protocol. This is even exceeding commonly used SATA (Serial ATA) or IEEE 1394 Firewire hard disk drive interface besides maintaining its usual plug and play capability. This is especially useful when the users want to do huge files backup into external storage system without being limited by available bandwidth that will definitely shorten the time taken as compared to previous storage technology. Good thing is, the USB 3.0 will be backward compatible with current USB 2.0 compliant devices in the market. Some are hoping that they are able to get their first hand on the actual prototype by 2010.